It’s not a career path any Danish actor would dare to imagine. Even for the most celebrated of that country’s stars, the prospects of working abroad remain slim. 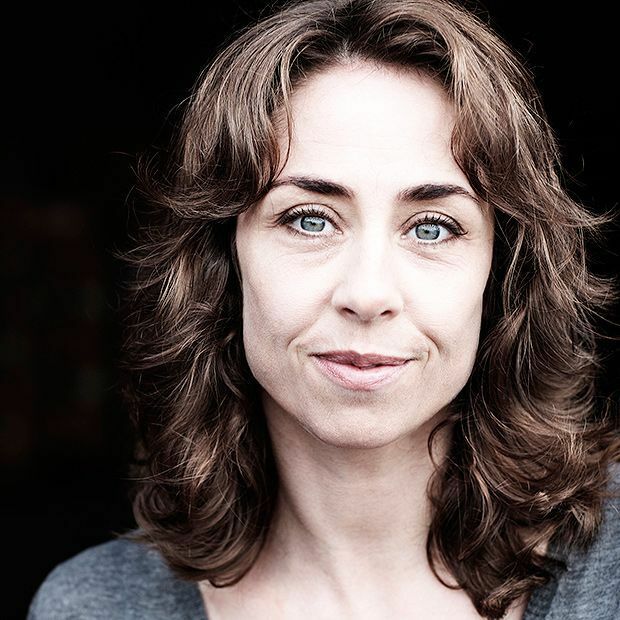 So although Sofie Gråbøl was one of Denmark’s best-known actors long before being cast as straight-talking detective Sarah Lund in The Killing, she had little reason to ponder a life far beyond her native Copenhagen. Even when The Killing won a devoted following in the UK, cultivating a taste for subtitled telly, dreich Nordic cityscapes and big woolly jumpers, it was by no means certain that she’d capitalise on the international interest. After the third and final series came to an end in 2012, she went straight into period dress for a stage version of Ingmar Bergman’s Fanny and Alexander in Copenhagen. And then came the bad news when she was diagnosed with breast cancer. ‘I was ill all of last year,’ says the 45-year-old today. ‘Not until this year has working away from home really fitted into my life. Also my kids are at an age now where it’s possible to go away for a while.’ She’s too smart to resort to glib generalisations about how going through chemotherapy and surgery changed her, but change her it did. And she accepts it may have played a part in her decision to up sticks for half a year and join the National Theatre of Scotland to play the Danish Queen Margaret in the final piece of Rona Munro’s trilogy of The James Plays. That’s in addition to filming in Iceland with Tam Dean Burn, Michael Gambon and Christopher Eccleston in Fortitude, a 12-part TV series written by Edinburgh’s Simon Donald in which she plays the governor of an Arctic town. The inaugural production of NTS artistic director Laurie Sansom and the centrepiece of the Edinburgh International Festival’s drama programme, the three plays concern a little-known period of Scottish history. In the first, Munro tells the story of James I who became king at the age of 12 in 1406, but was held by the English for 18 years before he could do anything about it. The second is about James II who inherited the crown as a boy and had to wait until adulthood before he could take control of Scotland’s feuding families. The series concludes with James III who married Queen Margaret, the power behind the throne, in 1469 at a time of political instability. In conversation, Gråbøl is sharp, open and engaged, talking with passion and intelligence without taking herself too seriously. Although she speaks perfect English, she says it’s still tricky to convey her sense of humour (‘it’s hard to do jokes in other languages’). In other words, Gråbøl is the opposite of Sarah Lund, the unemotional loner she regarded as a female Clint Eastwood. The dryness of that character came as a surprise to Danish viewers and is not typical of her work. So what should we expect from her as Queen Margaret? Will she be wearing a woolly jumper? Those of us addicted to the Scandi-dramas that followed in The Killing’s wake – from the political machinations of Borgen to the cross-border policing of The Bridge – are used to spotting familiar faces popping up as different characters. ‘Has Denmark run out of TV actors?’ fretted one newspaper blog, providing a Venn diagram to illustrate the looming national crisis. If the threat was exaggerated, Gråbøl is nonetheless thrilled to find herself an unknown quantity in a foreign country with the chance to start afresh. The James Plays, Festival Theatre, Nicolson Street, 0131 473 2000, 10–22 Aug (not 11), times vary, £15–£35. Part of a cycle of history plays by Rona Munro. This first play, based around the first James of the Stewart Kings, portrays the struggles and choices he makes to try and save himself, his Queen and his crown. The final part of the James Plays portraying James III, his grand schemes and the women who behind him. The tale of James II of the Stewart Kings.